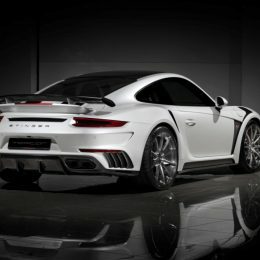 Amount of works is impressive: the replacement of the front and rear bumpers, front fenders and side skirts, new carbon elements on the doors, expansion and splicing the rear fenders, replacement of the hood and installation of the new aerodynamic wing. 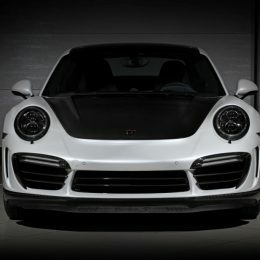 The front bumper has a new aggressive aerodynamic profile with stabilizers in the middle and side air ducts, the lower rubber skirt moved from factory bumper and fully retains its functionality. 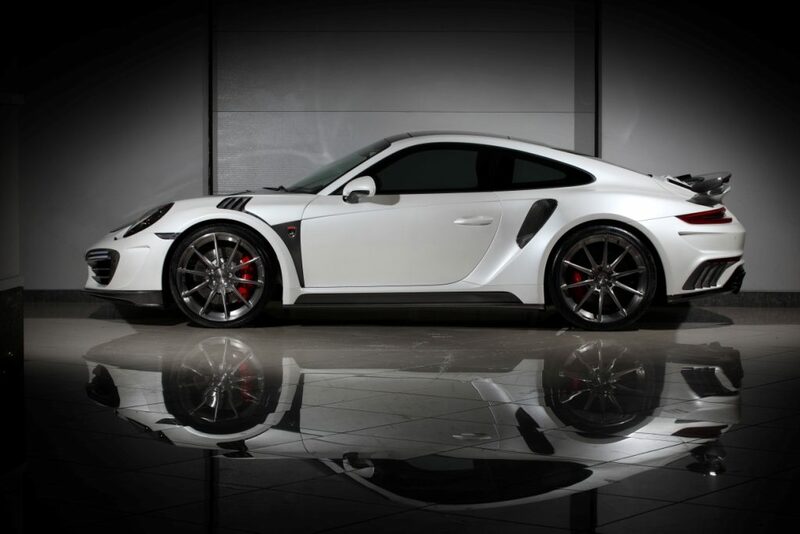 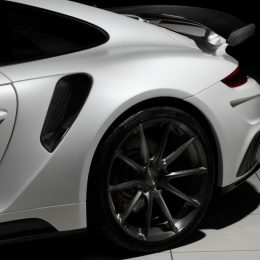 New front fenders now have GT3 RS style ducts. 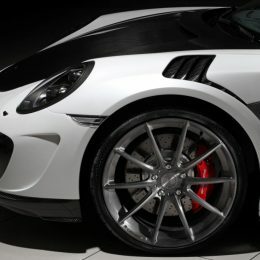 It is functional and adds aggressive appearance of the car. 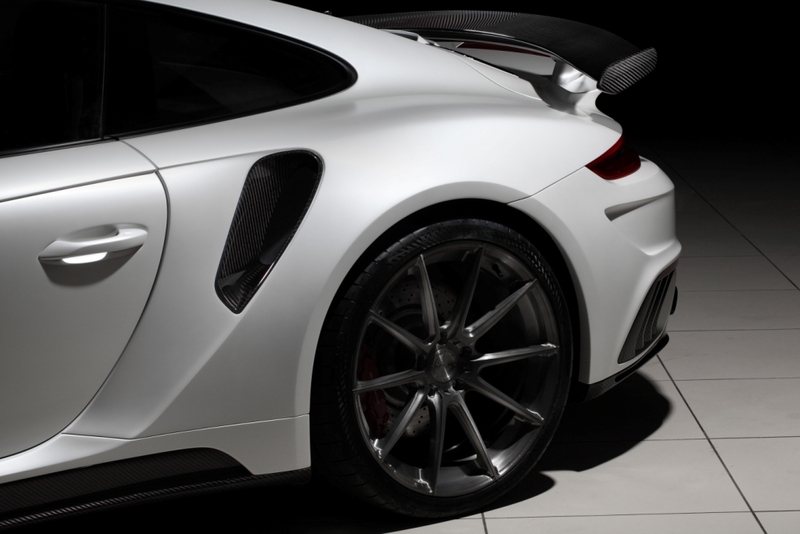 Rear fenders have been enhanced using carboxylic linings. 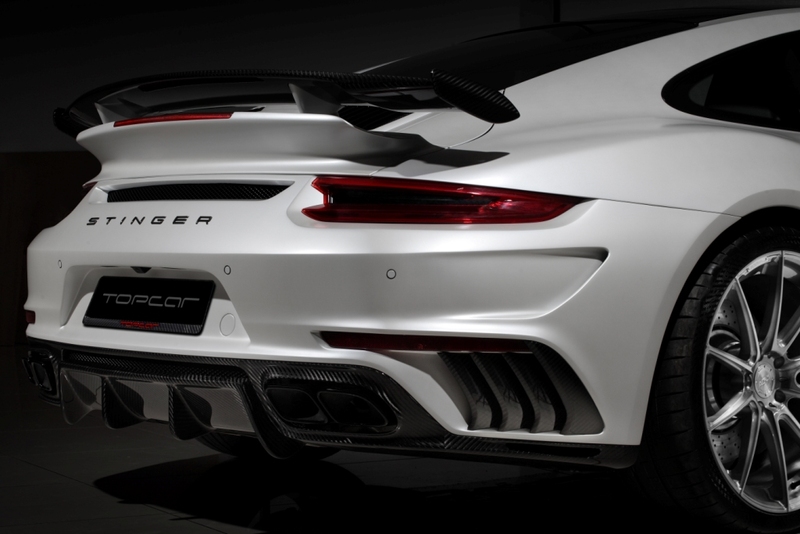 Special TOPCAR technology allows seamlessly splice carbon element with a metal body. 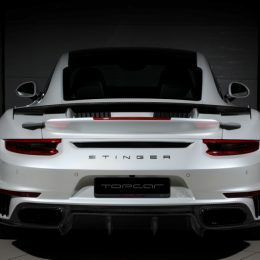 Extreme temperatures or significant torsional body connection is not dangerous. 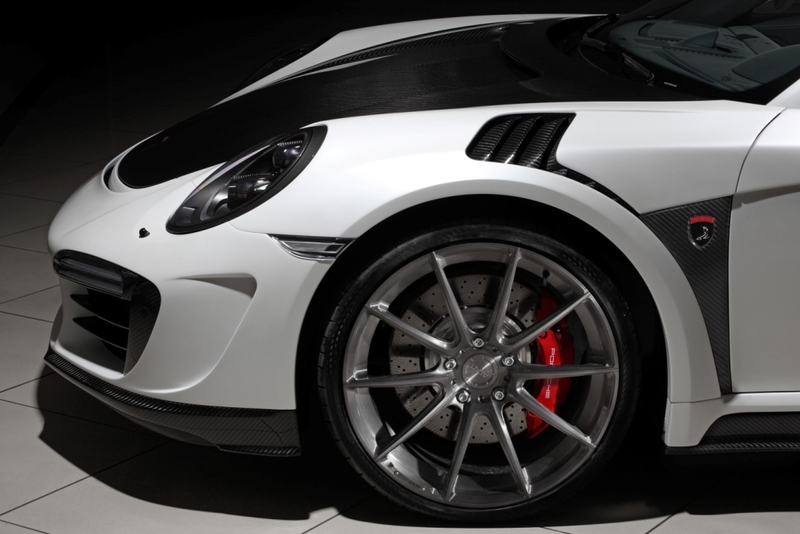 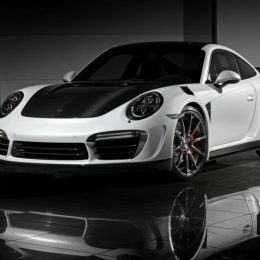 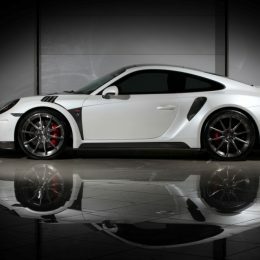 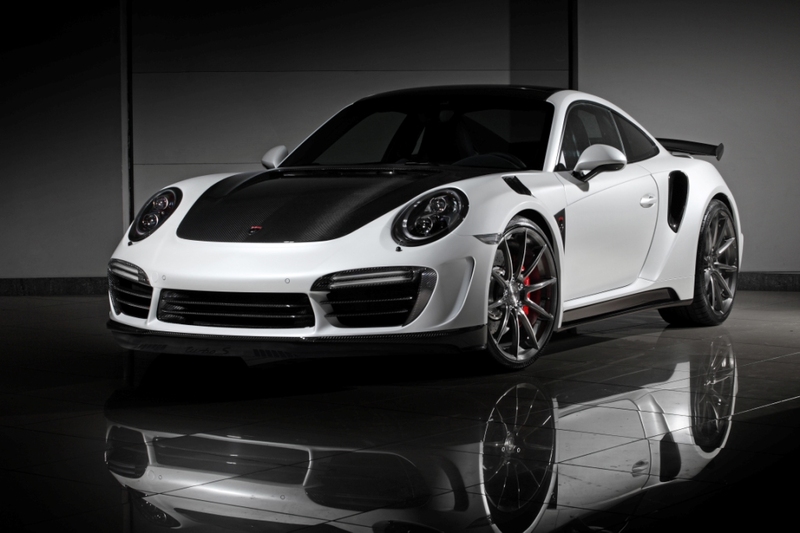 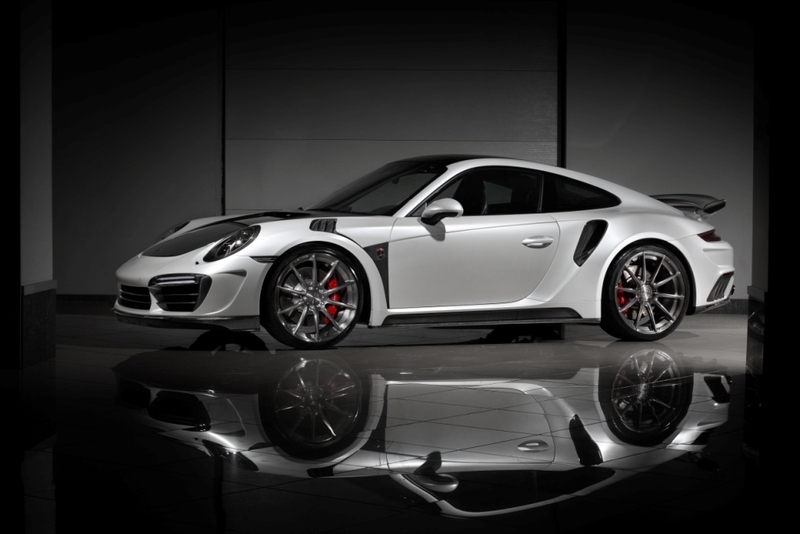 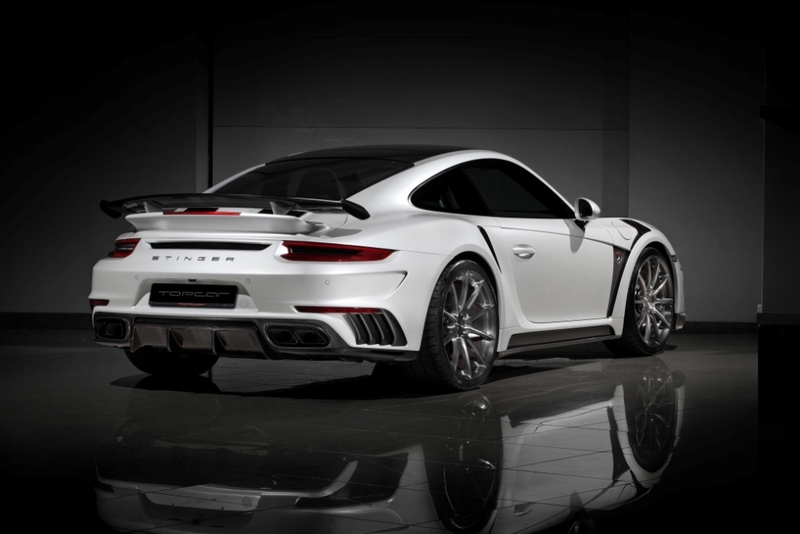 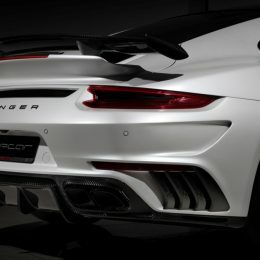 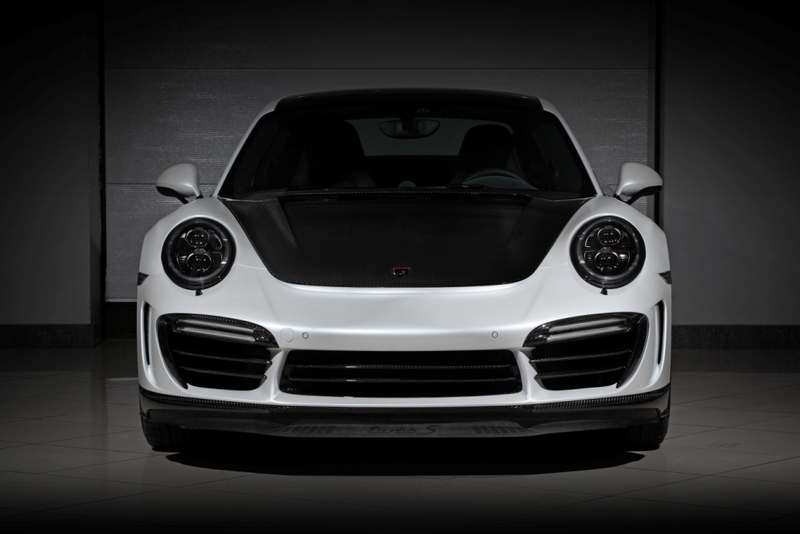 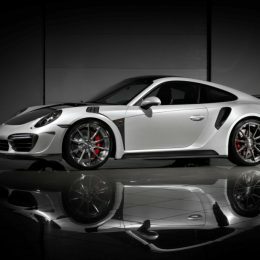 A new rear bumper with additional side air ducts and big sport diffuser forms a finished appearance of extreme Porsche 991 Turbo / S.
An important nuance – each element of the kit Stinger GTR gen.2 made of carbon fiber by vacuum forming which among other things significantly reduces the weight of the vehicle!